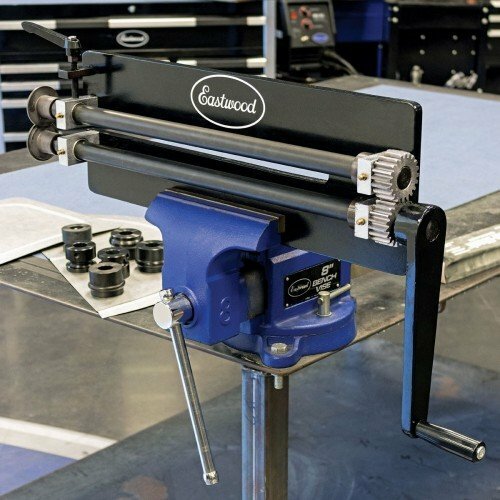 With a little practice, these hardened steel louver dies, and the Eastwood Bead Roller (28187) yo..
Increase the abilities of your Eastwood Bead Roller with more forming diesThis kit includes an addit..
Eastwood Bead Roller Guide Fence suits 8" and 19"
Keep it Straight - Create perfectly straight beads and offsets with infinite adjustment from th..
Take your bead roller from a two man operation to one. No need to wait for a friend, bead roll whene..
Make perfect flanges repeatably with this 3 dies set kit.These dies fit 22mm shaft bead rollers. Inc.. 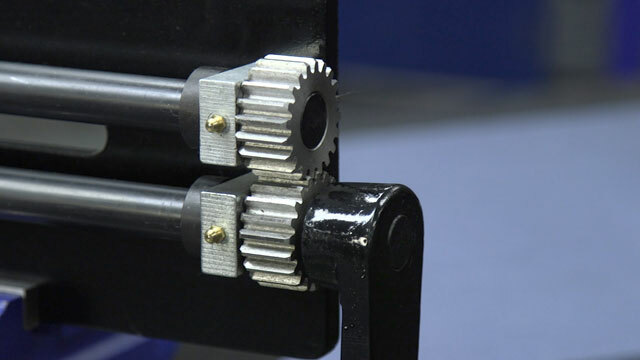 Perform 1/4" Beads in panels up to 16 gaugeThese dies fit 22mm shaft bead rollers. Including the 8" .. Perform 3/8" Beads in panels up to 16 gaugeThese dies fit 22mm shaft bead rollers. Including the 8" .. 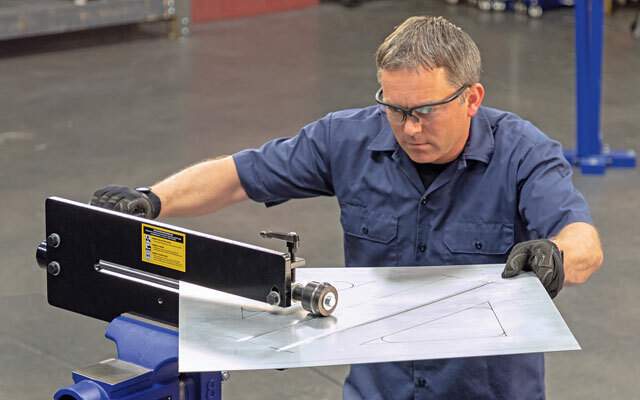 Perform Steps, Flanges and Joggles in sheet metal up to 16gauge. Infinitely adjustable to allow shal.. 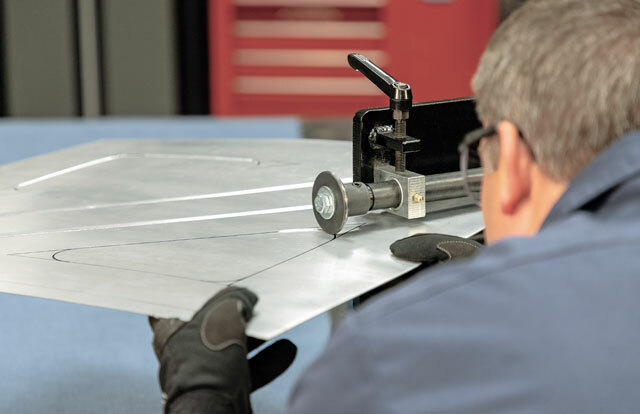 Partner this Tipping die with the 20268 Polyurethane dies and produce bends up to 90 degrees. This d..
Use this Polyurethane Lower Die for existing forming dies or as a replacement for a highly used die .. 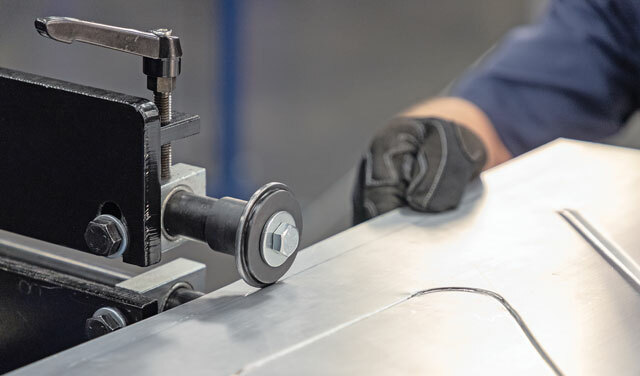 Tipping die and Polyurethane roller and produce bends up to 90 degrees. This die has endless u..
Increase the capabilities of your bead roller with these radius edge Dies. Create a radius on both s..